The Cathay Pacific 777-9X. 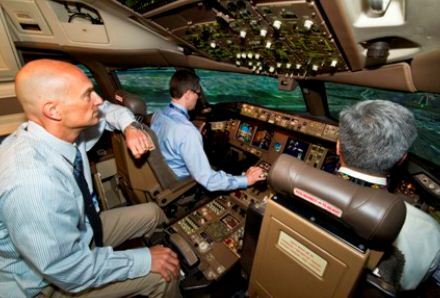 – Boeing photo. One of Asia’s biggest airlines has given a major boost to Boeing’s 777X program, ordering 21 aircraft worth more than $7 billion dollars. Cathay Pacific’s order is for the 777-9X version of the yet to be named aircraft. This version will offer seating for more than 400 passengers, and the airline says the order reflects its future long-haul fleet strategy. “We think it will be an ideal fit for long-haul destinations in North America and Europe, in particular those routes where we carry high volumes of passengers and cargo each day,” said John Slosar, CEO of the Hong Kong flag carrier. In addition, the 777-9X promises improved payload range capability and reduced operating costs, he said. The 777X program was launched at the Dubai Airshow last month where Boeing won orders and commitments for 259 aircraft worth $95 billion. “The 777X currently stands as the largest product launch in commercial jetliner history by value and is targeted for first delivery in 2020,” Boeing said Friday in announcing the Cathay Pacific deal. The aircraft is now undergoing low-speed wind tunnel tests in Britain. The 777X is the newest member of the highly successful 777 family of long-haul airliners. While the world is bracing for a big rise in air travel, North America will record the slowest growth in international passenger demand in the next four years, the group that represents the world’s airlines said Tuesday. The International Air Transport Association says the region will see a 3.6 per cent compound annual growth rate during 2013-2017. The Middle East will report the strongest — a growth of 6.3 per cent. Overall, international passenger numbers are expected to rise from 1.2 billion in 2012 to 1.5 billion in 2017, bringing in 292 million additional passengers, IATA said. With a rate of more than 10 per cent, Uzbekistan is the fastest growing market for international passenger traffic. Others are Kazakhstan, Russia, Turkey, Oman, China, Vietnam, Saudi Arabia, Azerbaijan and Pakistan. The group also forecast that airlines expect to see a 31 per cent increase in total passenger numbers between 2012 and 2017. “By 2017, total passenger numbers are expected to rise to 3.91 billion — an increase of 930 million passengers over the 2.98 billion carried in 2012,” the IATA Airline Industry Forecast said. 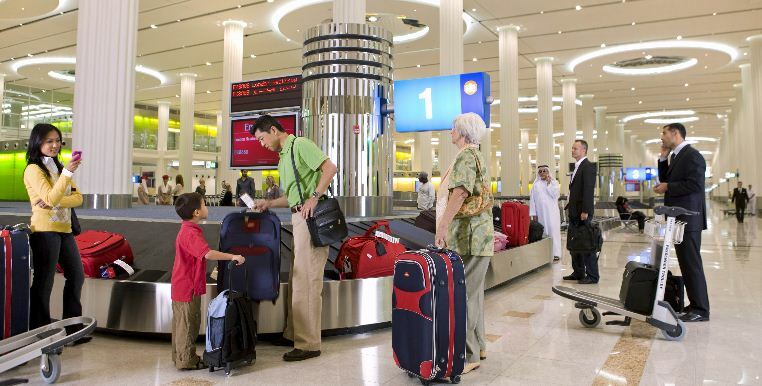 The United Arab Emirates, home of the high-flying carrier Emirates, will add 29.2 million passengers over the forecast period, nearly as many as China, IATA said. 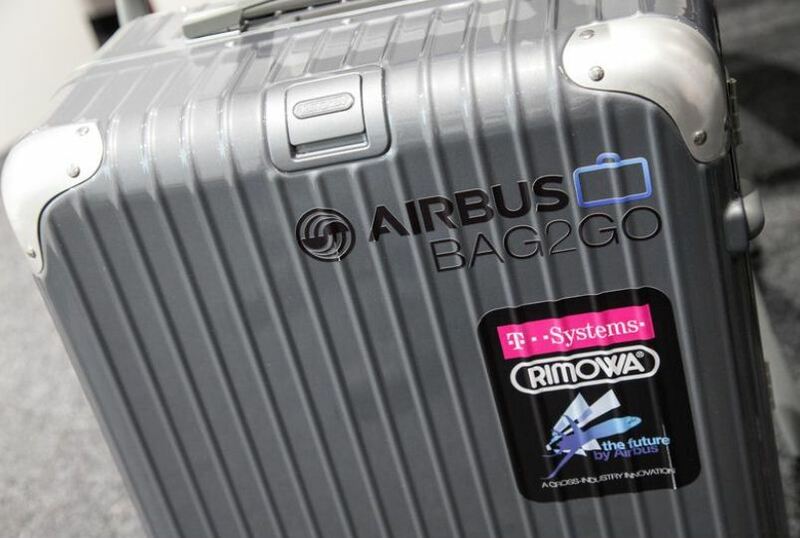 Routes within or connected to China will be the single largest driver of growth, accounting for 24 per cent of new passengers during the forecast period, IATA said. With 677.8 million domestic passengers in 2017, the United States will continue to be the largest single market for domestic passengers, although it will add only 70 million passengers over the forecast period, IATA said. IATA, which represents nearly 250 airlines, says the global aviation industry supports some 57 million jobs and $2.2 trillion in economic activity. Wind-tunnel testing will last about five months. 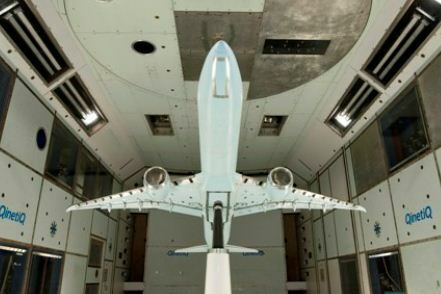 Less than a month after its spectacular launch at the Dubai Airshow, the Boeing 777X is undergoing low-speed wind-tunnel testing in Britain. Testing started last week at a facility in Farnborough, the town northeast of London best known for the world’s premier airshow, Boeing said Monday. 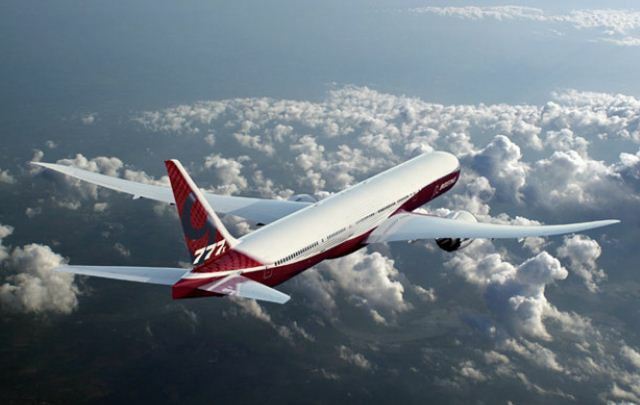 “This is the first major development milestone for the program since we launched the program last month,” said Terry Beezhold, vice-president and chief project engineer of the 777X program. The low-speed model currently being tested is a 5.5 per cent scale model of the baseline 777X, measuring 4.22 metres long with a wing span of 3.92 metres, Boeing said. The testing will last about five months. “We are on track to complete our top-level design in 2014 and reach firm configuration in 2015,” said Beezhold. Boeing won orders and commitments for 259 aircraft worth almost $100 billion for the 777X in Dubai last month in what was the largest product launch in commercial jetliner history by dollar value. They came from Emirates, Etihad, Lufthansa and Qatar Airways. Deliveries are expected to begin in 2020. European aircraft manufacturer Airbus says it is exploring the use of three-dimensional printing of individual parts or even larger airframe structures. 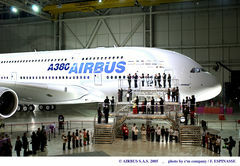 Airbus has been testing the technology, also known as additive manufacturing, since the late 1990s. 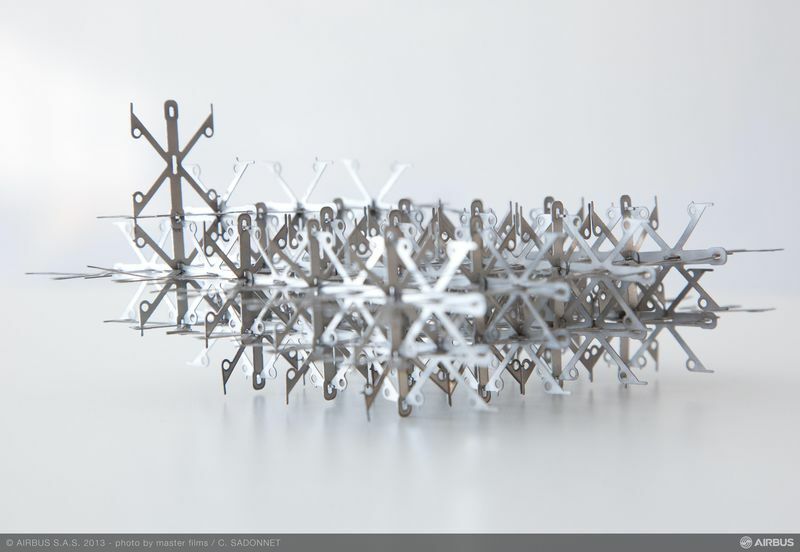 Its parent company, EADS, is a key partner in the European Space Agency’s AMAZE project to perfect the printing of space-quality metal components. 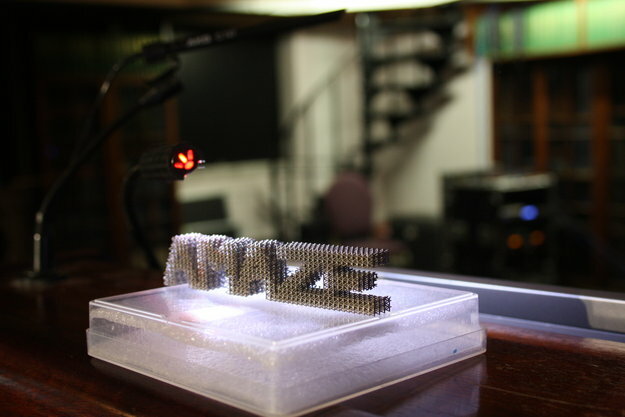 AMAZE, or Additive Manufacturing Aiming Towards Zero Waste and Efficient Production of High-Tech Metal Products, involves 28 industrial partners. The 3D printing technology offers greater manufacturing flexibility as well as cost- and weight-saving potential. Other aerospace companies, including engine manufacturers General Electric and Rolls-Royce, are also testing it. Airbus made the announcement on Wednesday as the company and the Massachusetts Institute of Technology signed an agreement to explore the use of digital manufacturing in the aerospace industry. The company will work with MIT’s Center for Bits and Atoms to evaluate how the digital material concepts being developed at the institute can potentially be applied to the design and construction of aerospace vehicles. “The agreement with MIT opens up an interesting collaboration with a cutting-edge research partner,” said Axel Krein, senior vice-president of research and technology at Airbus.Neil Gershenfeld is the director CBA. “We’re delighted to welcome Airbus as CBA’s newest member, with a focus on aerospace applications of digital fabrication,” he said. Airbus believes digital material technology could lead to a totally new way of assembling airplanes and may offer substantial benefits, including lighter aircraft structures as well as lower construction and assembly costs. Images are courtesy of Airbus and ESA. Jetairfly of Belgium is set to become the first airline in Benelux to operate the Boeing 787. The carrier, which is part of the British-based leisure travel company TUI Travel PLC, took delivery of the Dreamliner at a ceremony in Seattle on Tuesday. The 787 will start flying this month, replacing the airline’s 767. “We are very excited about the Jetairfly Dreamliner entering service as the first and only 787 operated by a Belgian airline,” said Elie Bruyninckx, CEO of TUI Belgium. Bruyninckx called the aircraft a great asset in the company’s strategy of offering unique holiday experiences to its passengers, especially when they fly between Europe and the Caribbean. “We are very excited that Jetairfly will be flying the 787 Dreamliner,” said, Todd Nelp, vice- president of European Sales, Boeing Commercial Airplanes. The fuel-efficient Dreamliner has features such as larger, electronically-dimmable windows and larger overhead luggage bins. TUI Travel, which operates six airlines including Thomson Airways, Arkefly, TUI Fly Nordic and Jetairfly, has made a commitment for up to 15 Dreamliners. It now has four in service. The Dreamliner was launched in 2004. It reached a sales milestone at the Dubai Airshow last month when Boeing received the 1,000th order for the aircraft, from Etihad Airways of Abu Dhabi. Boeing puts the total number of orders at 1,012 from 16 customers.